What’s ‘closed’ when it’s really open? That’s not a riddle from an un-pulled Christmas cracker. 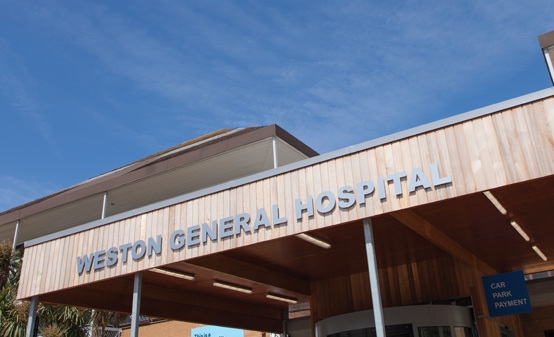 It’s the rather puzzled reaction to the new plans for Weston hospital’s accident and emergency department instead. It’s only a small part of a much bigger plan for the hospital’s future which, thank goodness, isn’t causing anything like the same headaches. That’s vital because, overall, Weston hospital will get bigger. It will treat more patients in future than in the past, for a wider variety of conditions too. For a growing community like ours, that’s absolutely right. There’s good news for expectant Mums too. We’re getting much stronger medical consultant support, which should mean more families will choose to have their children in Weston in future, after decades when most have gone to Bristol. But the reaction to the A&E proposals has been, well, odd. Because the plans mean more people who need emergency treatment in the middle of the night will get it at Weston hospital, not less. That’s right: more, not less. So how can it be ‘closed’? The answer is that non-emergency patients won’t be able to walk in the A&E’s door at 3am. They’ll have to see an all-night GP or ambulance paramedic first, and then be whisked into Weston hospital if they need it. But if they aren’t a genuine emergency then – rather obviously – they shouldn’t be going to A&E in the first place. Or, if you prefer, there’s a really creative, similar-but-different idea proposed by the hospital’s medical consultants too. But whichever one works best, it means we’re only arguing about how 24/7 emergency treatment will be delivered at Weston in future. Not if. So the A&E won’t be ‘closed’, unless you aren’t an emergency anyway. Otherwise it will be open. But who likes riddles in the first place?